If you have been a musician for any length of time, then you probably understand the care and consideration you have to take when storing your instrument for an extended time. Not only does the instrument need to be cleaned and polished — which should be done every time the instrument is packed away — but extra preparation needs to be taken for strings or heads that can expand and contract with weather changes. Extra preparation should definitely be taken with percussion instruments, as they have several sensitive components that can be easily damaged. In today’s Affordable Family Storage blog, our Des Moines storage experts explain the steps you should take in order to store your drums and other percussion instruments, as well as why you should choose climate-controlled storage for an extra layer of protection. 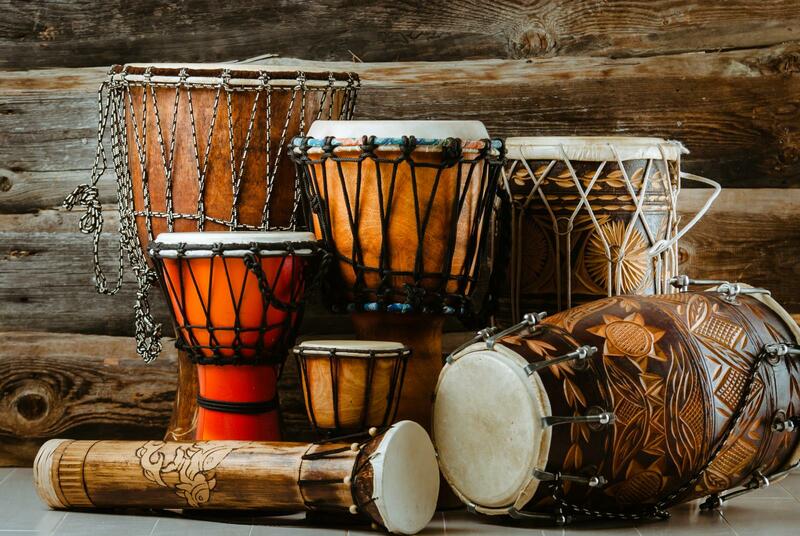 As with any instrument, drums and other percussion instruments collect dust, dirt, and grime over time. Whether you are storing marching band equipment, a personal drum kit, or some smaller hand percussion instruments, each and every part should be wiped down. Not every instrument can be cleaned the exact same way, but a good general rule of thumb is to use a soft, lint-free cloth to wipe down all the surfaces. Avoid using water and other cleaning products unless they are specifically designed for cleaning percussion instruments — the moisture can seep into the wood and damage the instrument. Certain types of drums need regular lubrication to avoid corrosion and damage, so be sure to research the proper care techniques for your specific instruments. After you’ve cleaned and prepped your instruments, it’s time to put them in the proper storage cases. Using high-quality hard cases will keep the drums safe from damage and weather fluctuations as it sits in storage. If you have hand drums like a djembe or congas, it may be more difficult to find a hard case that fits. If you can’t, at least store the instrument in a soft gig bag to have some sort of protection while it is in storage. All the preparation in the world won’t mean much if you don’t use climate-controlled storage when packing away your percussion instruments long-term! Climate-controlled storage will keep the instruments at a steady temperature no matter what the weather is like outside. If you choose not to use climate-controlled storage, you will likely have warped and damaged instruments when you unpack them months later. That damage will result in hundreds, if not thousands, of dollars in repairs to get the instruments back in working order. If you are looking for a high-quality climate-controlled storage solution in Des Moines, come check out Affordable Family Storage! We offer convenient one-level access to all our storage units — and with our convenient online payment system, you’ll never have to worry about missing a payment. Reserve your storage unit online today or stop by our location at 3400 E. 33rd in Des Moines.